COPENHAGEN, Denmark – July 3, 2013 – Playdead today announced the release of LIMBO for iPad, iPhone, and iPod touch. Download the game now for $4.99 on the App Store. In an effort to let LIMBO reach as many devices as possible, Playdead is now ready to deliver a seamless touch-based experience on the iPad 2 (and higher), iPad Mini, iPhone 4S (and higher), and the latest generation of iPod Touch. LIMBO is a puzzle, action adventure, created and directed by Arnt Jensen with the talented team at Playdead. 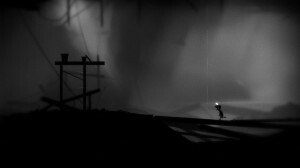 LIMBO had its debut on game consoles in 2010. The game has received critical acclaim on all platforms, garnering over 100 awards worldwide. Playdead was founded in 2006 by Arnt Jensen and Dino Patti, originally for the purpose of bringing LIMBO to life. Today, Playdead is a fully independent game studio based in Copenhagen, Denmark with 26 employees and is in development of a brand new IP.